From The American Spectator. March 29, 2007. As soon as I saw the headline in the Sunday Washington Post, "No I-told-you-sos," (subhead: "Opponents of the Iraq War Voice Pain, Not Vindication, At Predictions They Could Only Hope Would Be Wrong" — the poor dears!) I knew the article would be an I-told-you-so — as indeed it proved to be. You’ll just have to take my word for it that I told you so. "It is the culture of this town — trafficking in rightness," wrote Lynn Duke at the top of the piece. "People clamor day in and day out, in that polished and politic way of the Washingtonian, to be proved right. But," she added, "on Iraq, the vindicated are pained. There is no gloating." What a laugh! Surely it doesn’t take much insight into human psychology to see that the pain — or the "pain" — is the gloating. Every gloat these days begins: "It gives me no pleasure to have been right on this, but. . ." Oh, and by the way, boo hoo. The entire political discussion of Iraq in Congress, from many Republicans as well as Democrats, is now I-told-you-so. The import of the Iraq war part of Senator Jim Webb’s Democratic response to the President’s State of the Union address was I-told-you-so. The point of the proposed Senate resolution opposing the "surge" in Iraq — a resolution that could do nothing either to put a stop to or to help the American military effort there — was the rush to put on record who was right (assuming the surge fails) and who was wrong about Iraq. See? I told you so! Miss Duke is at least right in saying that this is the language of politics in our time, if wrong about her proposed exception to the rule. It is a corollary of the scandal politics that has become the norm in America since Watergate. Politicians are ever less sure of what they believe, politically, and correspondingly ever more sure of their personal virtues. Like Senator Webb, they may have no idea at all what to do about a problem — though doing things rather than striking attitudes is what was formerly thought to be what politics was for — but they are filled with passionate certainty about their own lack of responsibility for it, or for anything else. If moral self-congratulation has now become the norm in politics, it has long been so in the popular culture, which can hardly be an unrelated fact. Ten years ago, Steven Spielberg thought it worth putting on record that neither he nor any of the enlightened, liberal-minded folks who went to see Amistad were responsible for slavery. Had anyone blamed them for it? No. Why, then, we may wonder, did it matter so much to them thus to affirm their own compassion and moral uprightness? It was a superfluous effort at righteous one-upmanship, to be sure, but ever since the first audience hissed as the villain tied the heroine to the railroad tracks, taking pleasure in one’s own goodness by taking up the invitation to hate someone else’s evil has been an accepted part of popular entertainment. The problem with such melodramatic scenarios is that they tend to drive out real dramatic conflict — which is not, normally, about good and evil, tout court, but greater goods and lesser evils — and so make a nullity of the plot or story, which as Hitchcock said (stop me if you’ve heard this before) is the soul of the cinema. At this distance of time, it’s hard to remember that Amistad was a courtroom drama, since what lingers in the mind is the horrific images of the slave-trade. The new movie about the great English abolitionist, William Wilberforce, Amazing Grace doesn’t even show us the horrific imagery of human suffering in Mr Spielberg’s film. It’s enough for another white do-gooder, an emissary from the plantations, to show Wilberforce (Ioan Gryffudd) the shackles and other instruments of restraint employed to keep the slaves in submission to make a confirmed crusader out of him. The dramatic conflict here is particularly feeble. Will our hero become a clergyman or a politician? What is he going to do about his colitis? His sleeplessness? 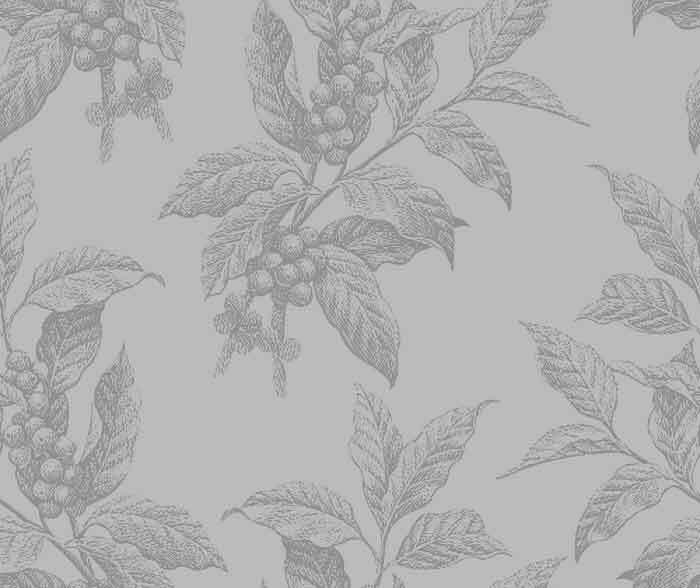 And how is he going to break the addiction to laudanum that he takes for these conditions? Is he going to marry the girl his friends have set him up with? How does he get his inspiration for his anti-slavery crusade from the former slaver and author of the words to the hymn "Amazing Grace," John Newton (Albert Finney)? Not exactly gripping stuff, I think you’ll agree. 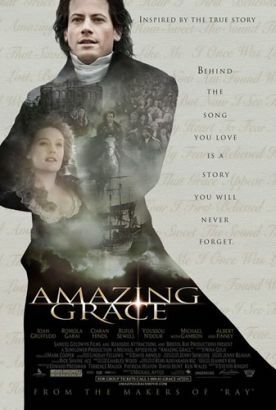 Like so much else in the popular culture, Amazing Grace seems to care about its material only for the sake of the occasion it affords to affirm its, and thus the audience’s, own moral rectitude — along with that of its perfect, suffering, compassionate hero’s. In fact, he is less a hero here than he is a celebrity. The poster advertises this film as "From the Makers of Ray" — that is, not the director, writer or producers but Bristol Bay Productions — and it shares with Ray an interest in the personal life of its central figure, right down to his struggle to free himself from drug addiction, that is always tending to crowd out what I believe is the much more interesting concern with the things that made him famous in the first place. This is the civilian version of the cliché of the traumatized warrior that I discussed in this space last month. The conventional wisdom in Hollywood now is that heroes can only engage us with their "human" qualities, not their heroic ones. It has not always been so. 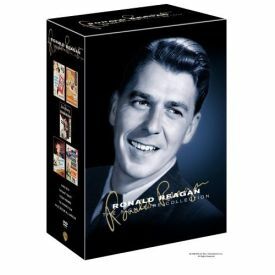 As it happens, I have been reviewing a boxed set of DVDs from Warner Home Video of five films starring Ronald Reagan from the 1940s and 1950s. It’s part of a series that, so far, also includes sets of movies featuring James Stewart and Gary Cooper. The Reagan films are not all the ones I would have chosen, although they do include the Gipper’s greatest picture, King’s Row (1941), as well as Knute Rockne: All American (1940), which gave him the nickname of Gipper. The Hasty Heart (1949) is a British film he made with Richard Todd and Patricia Neal and is well worth watching, but Reagan’s part in it is relatively minor. The other two, neither of which I had seen before, are Storm Warning (1951) and The Winning Team (1952). Neither is a great movie. I would rather have seen The Voice of the Turtle (also known as One for the Book) or She’s Working Her Way Through College, to name two other Warner pictures that I have seen and enjoyed but that are not available on DVD. Yet both Storm Warning and The Winning Team provide interesting contrasts with the similar products of today’s movie industry. In the former, Reagan plays a crusading district attorney trying to take down the Ku Klux Klan in a small town that seems more Midwestern than Southern. In fact, the only black people in it appear loitering around the bus station in one of the opening scenes. The Klan’s wrath is instead directed at a journalist who is threatening to expose their corrupt ways. Though Reagan is clearly the good guy, the focus is neither on his finer qualities nor his personal struggles but on the genuine dramatic conflict created when Ginger Rogers witnesses a murder and then finds herself called on to testify against her brother-in-law — a splendidly drawn thug played by Steve Cochran — and the father of the child that her sweet little sister (Doris Day) has just excitedly told her she is carrying. Though it all ends rather unbelievably, this scenario shows us the messiness and moral conflicts of real life and has no room for self-congratulation. In The Winning Team, Reagan plays the great pitcher, Grover Cleveland Alexander, who came back from his own battle with illness and alcoholism to pitch the St. Louis Cardinals to victory over the mighty New York Yankees in the 1926 World Series. On the face of it, this would seem to be another celebration of victimhood, an attempt to "humanize" a hero by dramatizing his battles with personal "demons." This kind of thing is not entirely absent from the film, but it never falls back on the notion of "addiction." In fact, as far as we can see, Grover only ties one on once and otherwise falls on hard times because he is keeping from his wife (Doris Day again) the full extent of his illness. In other words, he is not "acting out" but "repressing" those ever-loving demons. That it is the devotion of Miss Day which enables him to do this is rather pat and sentimental, maybe, but I, for one, would rather be encouraged in my hope that love can work miracles than flattered for my enlightened views, which have cost me nothing, on the slave trade.